Several of the designs from our wonderful Kevin Reilly collections are available in both indoor and outdoor versions – for example, the elegant Lucerne above. Initially you may wonder why we always check with you about which finish you want when you contact us about them. We do it partly because the lights shown in photos tend to be in the “steel dark patina” finish, whereas everybody (in Europe, at least) assumes that it is a bronze. 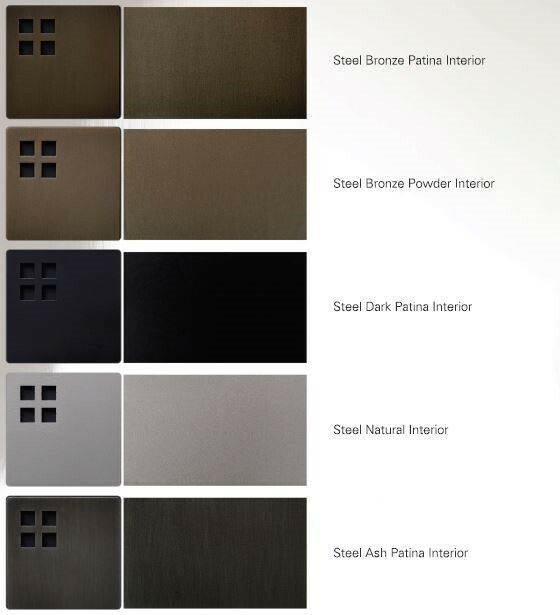 But Kevin Reilly give the name “steel bronze patina” to a different finish. The liveliness of the interior surfaces is achieved by hand-painting the finish onto steel. 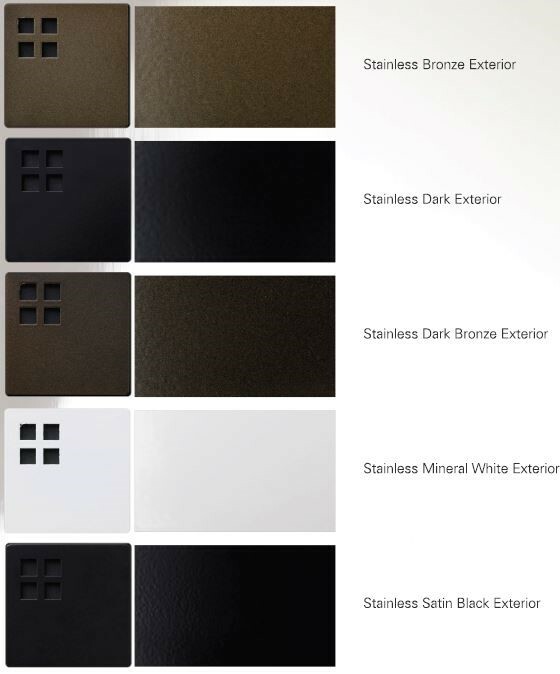 Now you can see why we check, and why we have samples of the finishes that we can send out to you.